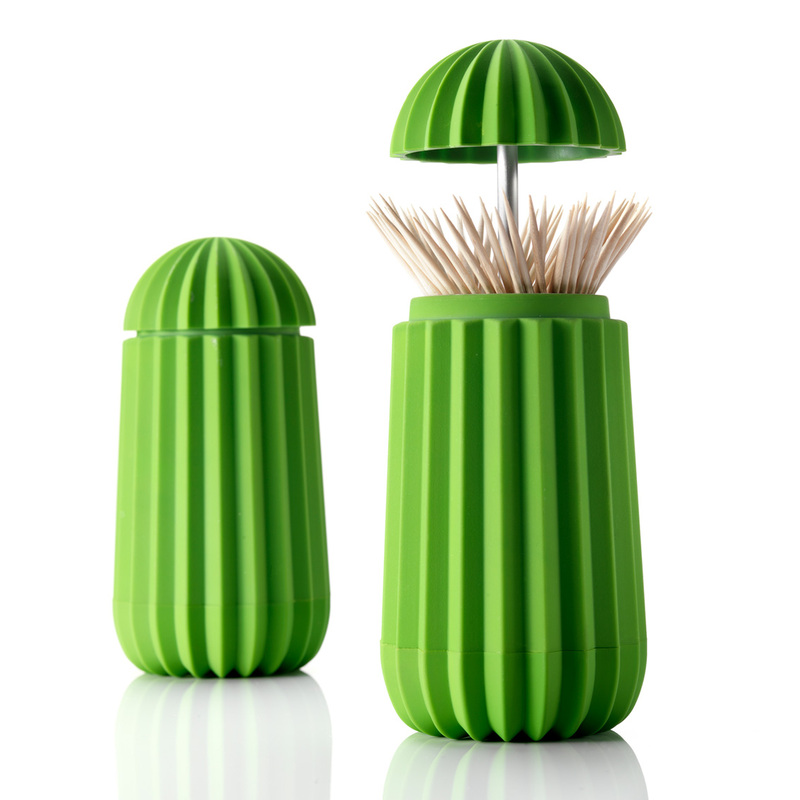 In nature there are many species of cactus in varying shapes and sizes, most of which are green and involve sharp thorns. 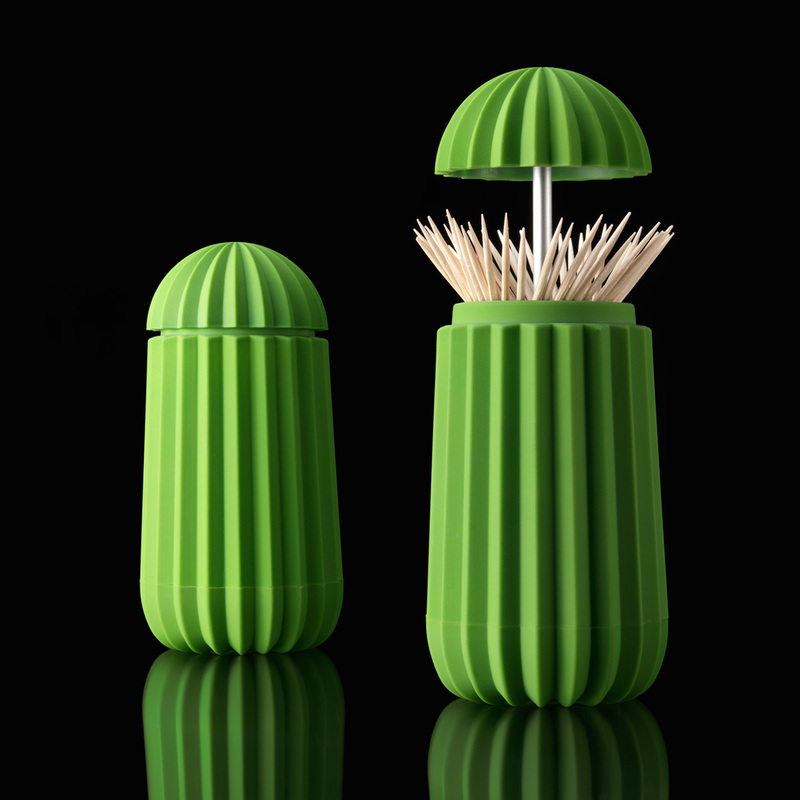 Rather than a thorn in your side the Essey cactus is an elegant container with a secret. 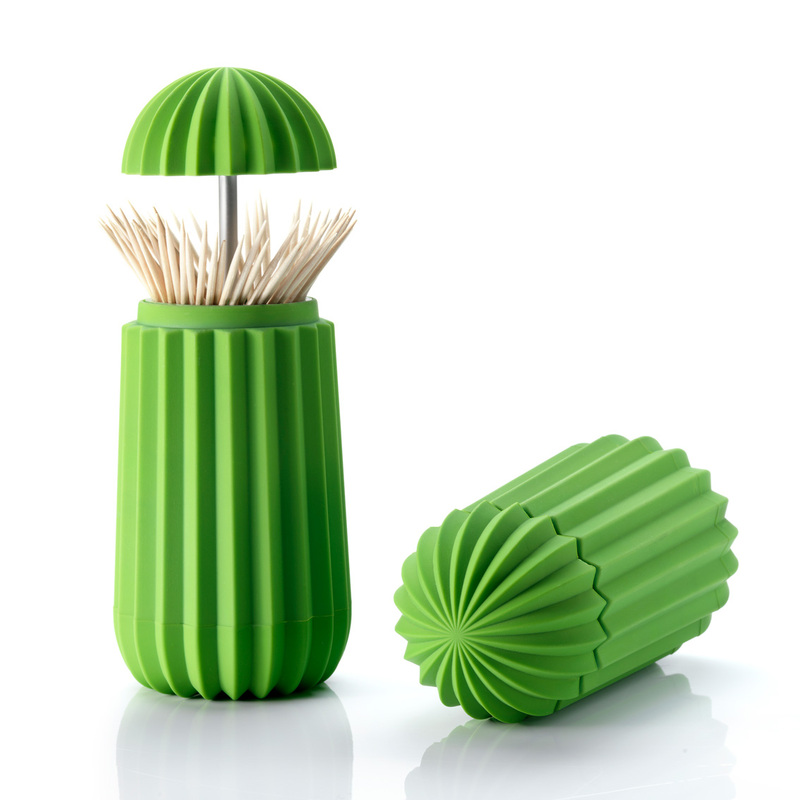 Press the top and it silently rises to reveal not thorns but hygienic dental toothpicks instead. 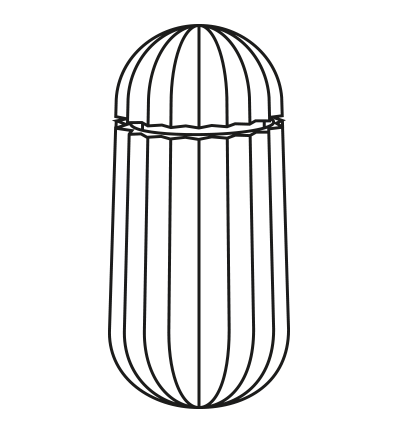 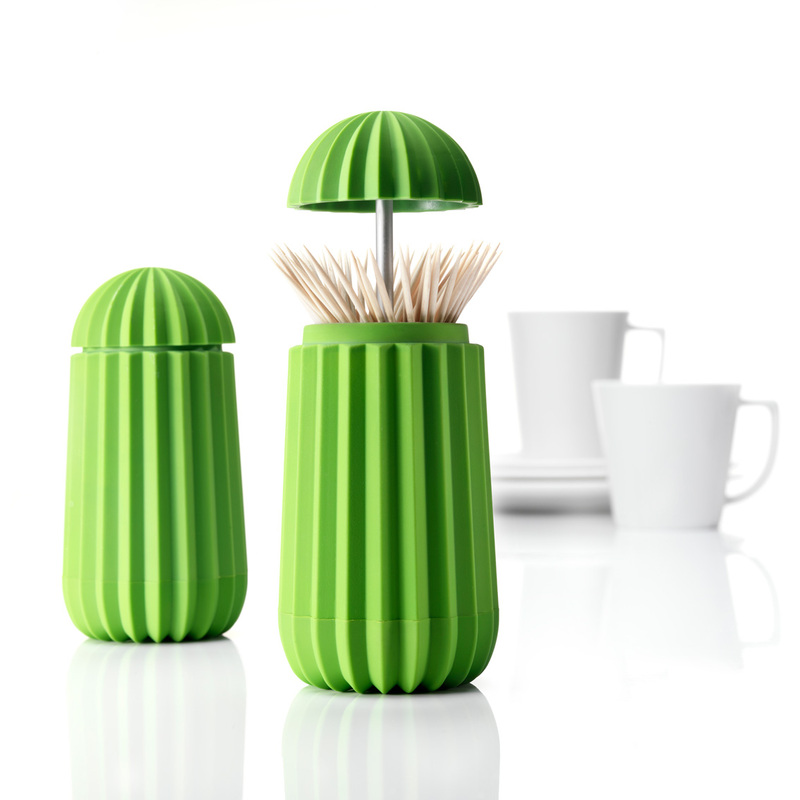 Press the top back down and once again you are left with the clean lines of this stylish “table cactus”. 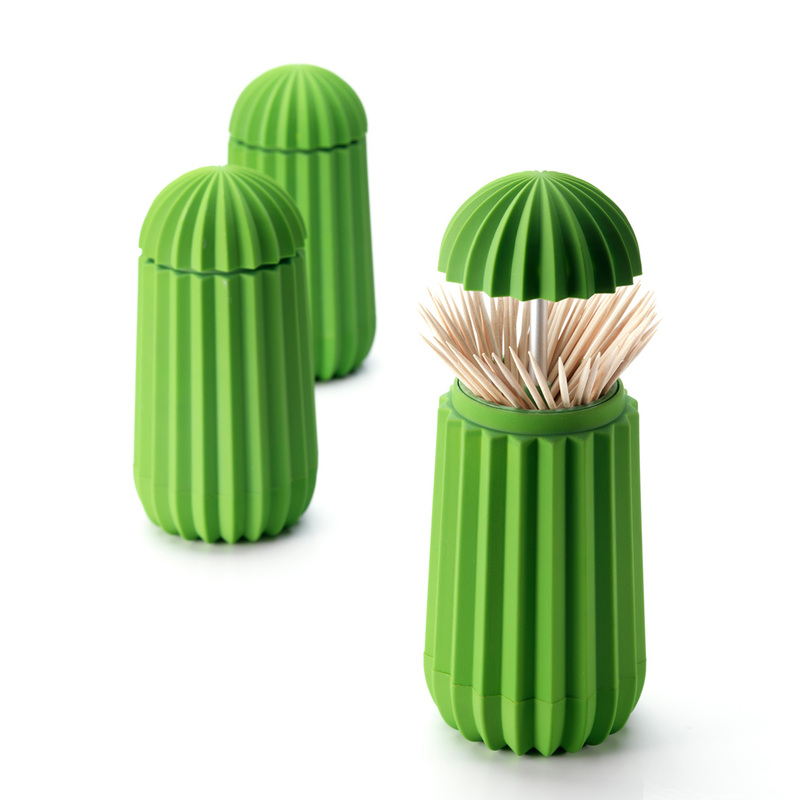 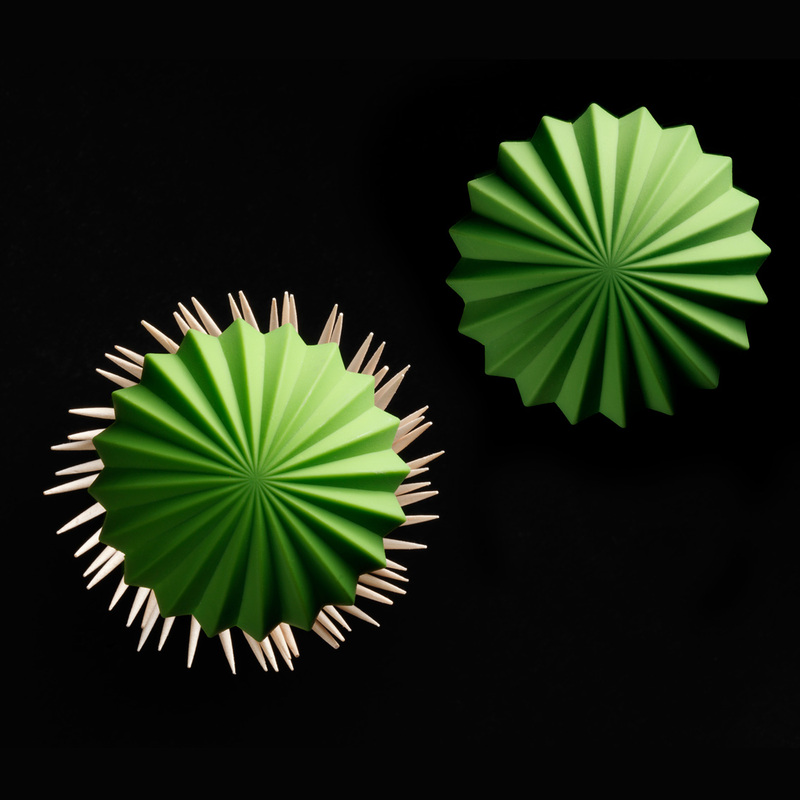 Cactus is yet another example of Symbolic Functionalism and sure to stimulate conversation at any dinner table. 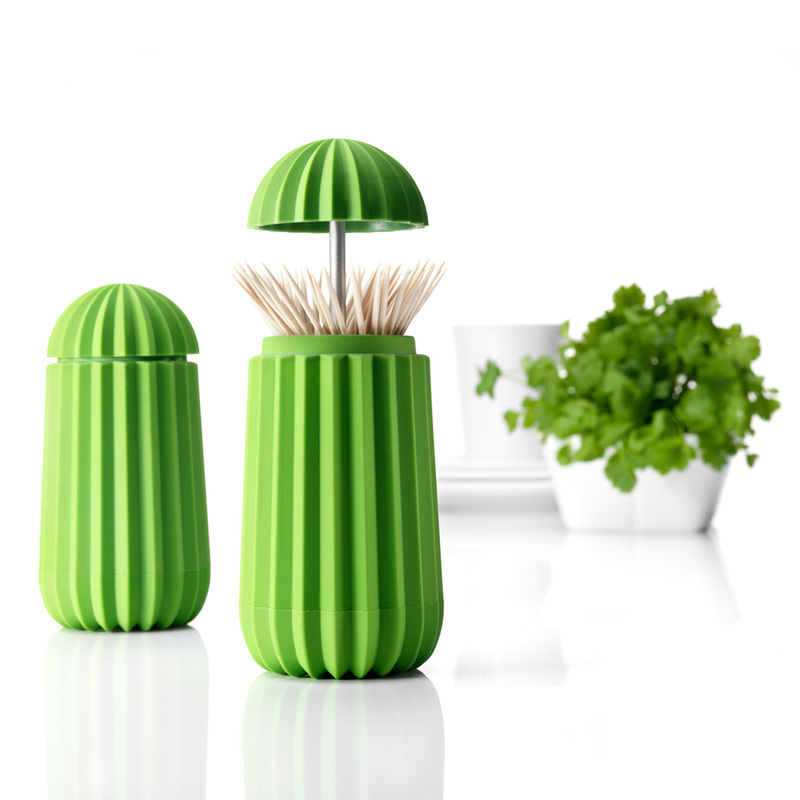 Cactus - a little helper, always ready to serve you and your guests.